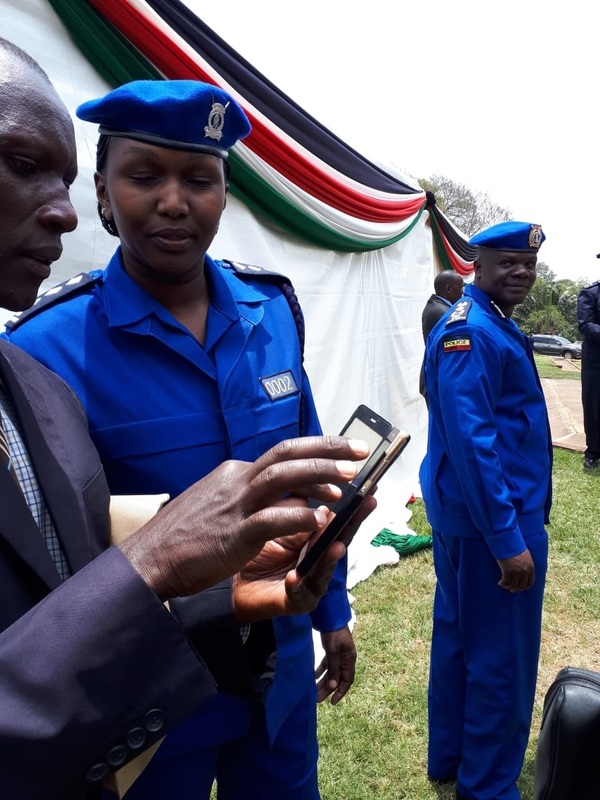 Home / Entertainment News / Here is what DONALD KIPKORIR thinks about the new police uniform that has elicited a lot of reactions from Kenyans. 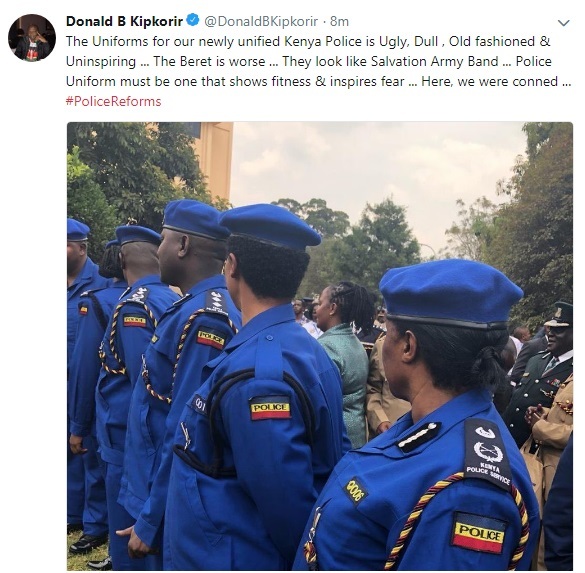 Here is what DONALD KIPKORIR thinks about the new police uniform that has elicited a lot of reactions from Kenyans. Thursday, September 13, 2018 - The Government has introduced a new police uniform after the merger of Administration Police and Regular Police unit. The new uniform has elicited a lot of reactions online. Most Kenyans think that the uniform is ugly and whoever designed it did a shoddy job. City lawyer, Donald Kipkorir, who is not afraid to speak his mind, has described the uniform as old fashioned and uninspiring. He claims that the new uniform looks like that of a Salvation Army Band. “The Uniforms for our newly unified Kenya Police is Ugly, Dull , Old fashioned & Uninspiring ... The Beret is worse ... They look like Salvation Army Band ... Police Uniform must be one that shows fitness & inspires fear ... Here, we were conned ...” Kipkorir posted on twitter.